Explosion proof chain hoists feature NEMA 7 enclosures, making them ideal for hazardous environments. David Round’s explosion proof hoist products are specifically designed to meet electrical standards required in hazardous or classified manufacturing and processing areas. 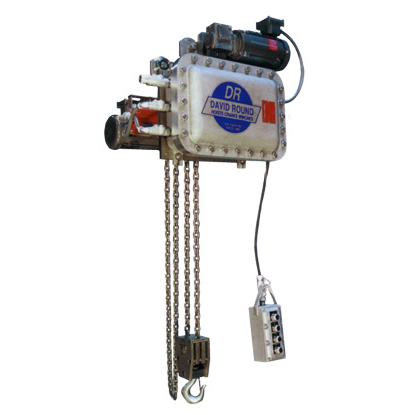 These chain hoists have spark-resistant features, which are designed to reduce the likelihood of sparking during normal lifting operations.